Brisbane boy Dave Cush was studying law when, working in a bottle shop, he was smitten. It was love. Love in a bottle. After twelve years at the helm of leading Tasmanian producer Spring Vale, Dave has returned home to Brisbane – and naturally jumped at the chance to show to the #SwirlSniffSpit crowd the vinous delights of Tasmania at our 18th February tasting. 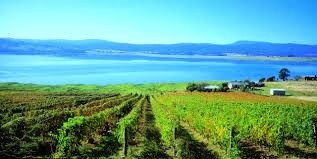 We’ll be looking at Tasmania through the lens that is Pinot Noir – a grape variety very reflective of terroir – and unarguably Tasmania’s signature grape variety. This is a paid tasting ($20/ticket) and tickets are available now through Eventbrite. All wines are from the 2012 vintage. Swirl, Sniff, Spit is brought to you by two wine lovers. Born out of a desire to taste some good wine and share that with like minded people around Brisbane. Swirl, Sniff, Spit will host monthly, themed, structured tastings the 3rd Tuesday of the month at Era Bistro. If you wish to contact us, please do so here.